"OH, BRIGHT NEW DAY, WE'RE MOVIN' AWAY, WE'RE STARTIN' ALL OVER AGAIN. " ... Well, not exactly all over again. All content will still be available, just in a new location. Also on Wednesday, it was announced this show would be arriving with us soon, starring both Eisenberg himself and Kunal Nayyar (Raj from the Big Bang Theory) but, given that it's quite a limited run, I'm not sure whether I'll actually get to see it. But what exactly is 'Miscast'? It's a show where performers get to sing songs from roles they would never normally be considered for. Check out their website http://www.mcctheater.org/galamiscast.html for videos, photos and more info. Sierra is not only a great singer, but full of inspirational, motivational wisdom too. She posted a video to her Facebook fanpage about 'elimating fear'. It's aimed mostly at encouraging performers to let go of their fear, but you can find relevance to any walk of life in the message. Technically, I saw the show last week but it's stayed in my mind - surely a sign of a show which should not be allowed to disappear into obscurity? 1940s Britain seeps into the soul upon entrance into Wales Millennium Centre. A band plays some swinging music, while dancers dressed in pretty floral dresses and dapper suits twirl around in time to the beat. Some hustlers sidle over and try to flog some wares. This is all part of an immersive build up, putting ones mindset very much in the era, ready to experience the musical based on the day D-Day landings. Writer Rachel Wagstaff and Director/Lyricist Steve Marmion have done a masterful job of bringing this complex story, based on real events and real people, to the stage in an uncomplicated way. There is quick connection to the characters, with insight into each of their personal stories. Wagstaff has a strong passion for war stories, which shines through in her considerate, thoughtful and honest story-telling. 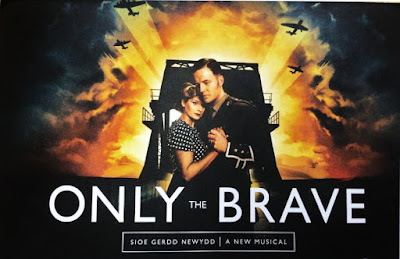 The company have a heavy duty of their own in this production – to give a performance that honours the memory of the soldiers they represent, to portray them as the brave heroes that they were, but more pertinently, the people that they were. That's why this story works so beautifully. It's not just cold, detached facts, it delves into the personal lives of each character. They're not just two-dimensional figures in a text book, or stone statues with plaques. Theatre has breathed life into them once more, so we can know them as people. People like us. People with personalities, hobbies, likes and dislikes, families and friends. Not only do the cast achieve their duty, but they excel, all showing incredible insight and sensitivity to their characters. David Thaxton plays leader of the troops, Captain John Howard, with authority and gravitas. Neil McDermott matches and balances this with his more laddish, fun-loving Lieutenant Denham Brotheridge. It is a testament to the skill of all the actors playing soldiers, that they can bound effortlessly from the demanding physical army workouts, straight into powerful songs with not a single tremor of the voice. A special mention must also go to Nikki Mae for her heart-wrenching performance of the robust, courageous Isabelle – a 16 year old French girl who, determined to help, relays back invaluable information that she overhears from the Nazis. 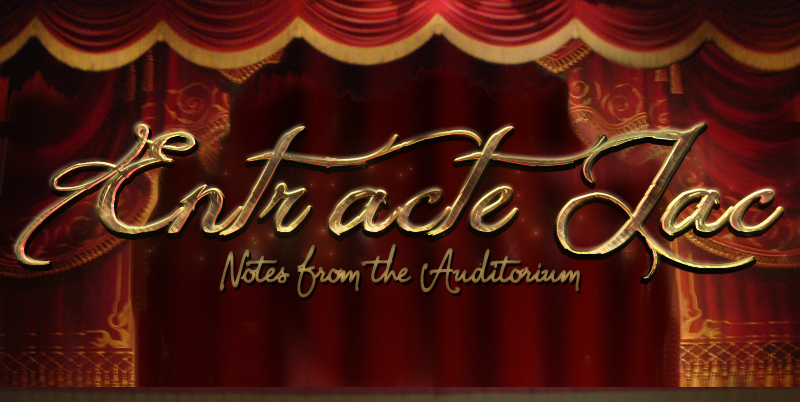 Act One ends in a moving combination of poignant song and distressing scene, as Isabelle is found out and faces the consequences. That lingers vividly in the memory now, such was the impact. It's not all heavy hearts and tears however, for in the midst of even the darkest moments light can be found in laughter. There are jokes scattered about in the production, including a long-running one about a soldier who's always late, as well as witty one liners and what we would nowadays call 'banter'. While the story and the performances were intensely brilliant, the same cannot be said for the set design or general score. 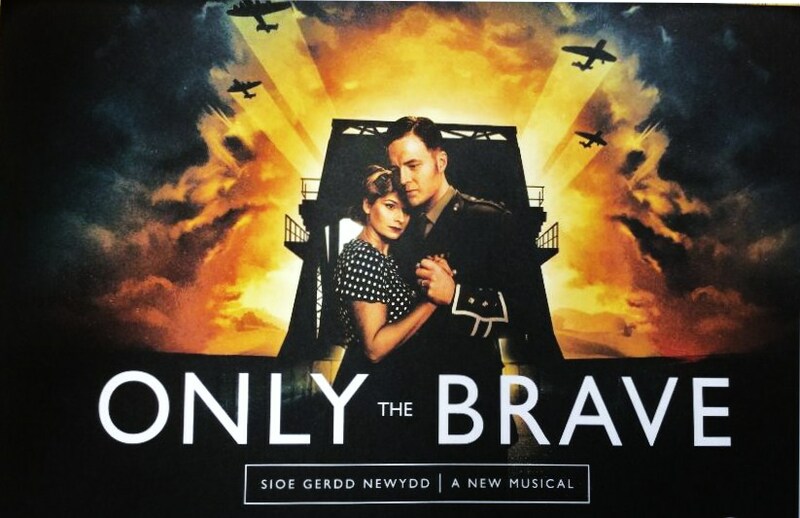 There were some standout songs such as the aforementioned Act One closing number 'A Band of Brothers' and the chokingly moving 'Regret and Sympathy' sung by the women, typing letters to the relatives of fallen soldiers. Unfortunately the rest of the score blurred into unmemorable blandness. The set design, created by Michael Vale, had some great concepts. The use of the scaffold staircases was inspired and made for interesting visuals when combined with choreography from Alistair David, most memorably and strikingly in the 'landing' scene. The three layered projection was a great idea and created a depth to make up for lack of scenery... but this was the wrong show for it – too futuristic given the effort made to make everything else feel genuinely of the era. With a little refining, this production seems destined for great things and certainly is a strong contender for a place in the West End.